A spectacular display of more than 18,000 tributes has been unveiled at the National Memorial Arboretum in Staffordshire in memory of servicemen and women. The Royal British Legion Field of Remembrance opened to the public at the Arboretum on Monday 5th November following a special service of Remembrance led by Reverend Tim Flowers CF and attended by hundreds of people including veterans and representatives of the Armed Forces. 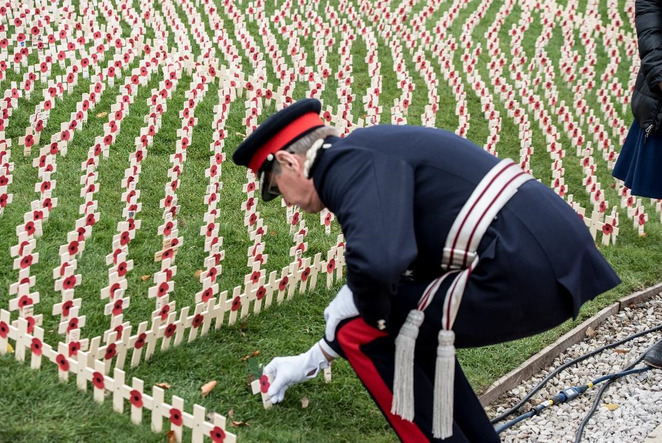 The Field of Remembrance features more than 18,000 tributes from members of the public, each carrying a personal message to someone that has lost their life during or after the First World War. The National Memorial Arboretum, at Alrewas, near Lichfield, is Britain's year-round national site of remembrance. 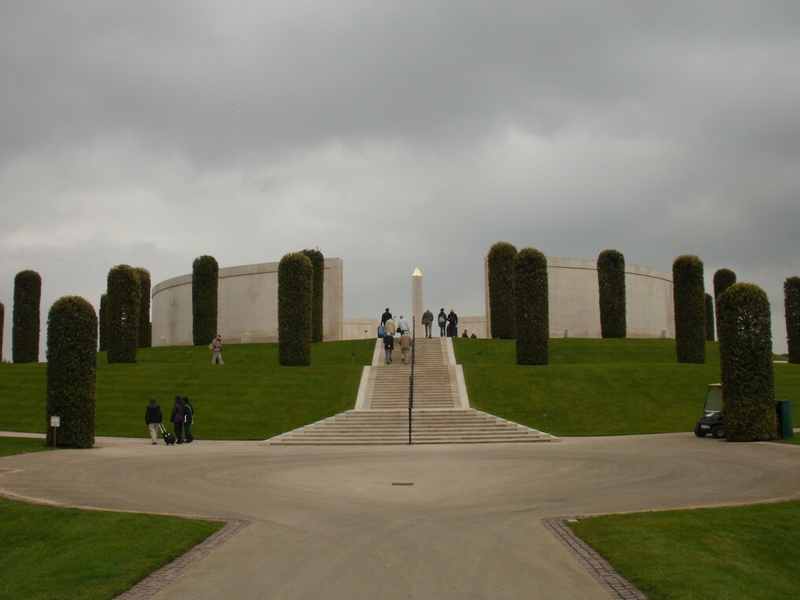 The National Memorial Arboretum Field of Remembrance is one of six Royal British Legion fields located across the country which, between them, feature more than 100,000 crosses and commemorative markers each inscribed with an individuals' name. The other Fields of Remembrance are located in London, Belfast, Cardiff, Gateshead and Royal Wootton Bassett. Following the two-minute silence, several individual Remembrance tributes were planted by dignitaries and the Shawbury and Cosford Military Wives Choirs performed for the people who attended the service. The Field of Remembrance at the Arboretum will be open for members of the public to visit and pay their respects until Monday 19th November. Gail Walters, Assistant Director of Operations, The Royal British Legion, said: "In this centenary year it is especially important that we reflect on the sacrifices of the First World War generation and say Thank You to those who gave their lives for the freedoms we enjoy today. We owe an enormous debt to all members of the Armed Forces who continue to demonstrate an unwavering commitment to service as they voluntarily put themselves in harm's way. We hope the public will take the opportunity to visit the Field of Remembrance and pay their respects as we approach this important anniversary." The Field of Remembrance at the Arboretum is an important part of The Royal British Legion's work, continuing a tradition that began in 1928 when poppies were planted around an original wooden cross, taken from the battlefield grave of an unknown British soldier, located in the grounds of Westminster Abbey. The Poppy Appeal and Remembrance period in 2018 is the culmination of The Royal British Legion's 'Thank You' movement to mark the end of the First World War centenary.